Taking yesterday as an example, we look at the duties of an average day with the Sovereign Prince of Monaco. 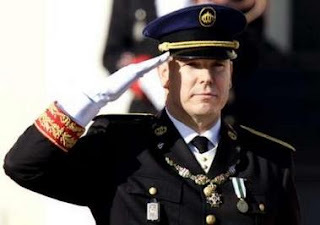 On March 15, according to the Official Journal of Monaco, HSH Prince Albert II naturalized two new citizens of Monaco, nominated a new Honorary Consul of Monaco for Hanoi in the Socialist Republic of Vietnam, a new ambassador to the Republic of India (one Marco Piccinini), established seven new consular districts in the United Kingdom in Birmingham, Brighton, Bristol, Edinburgh, London, Manchester and York. The Prince awarded two captains from the Republic of San Marino (which he recently visited) the Grand Cross of the Order of St Charles and appointed a new shorthand typist for the legal department. Later that day the Sovereign Prince attended a conference at the Théâtre des Variété in Monaco on constitutional justice in France which was hosted by Jean-Louis Debré, President of the French Constitutional Council. The conference was organized in part by the Prince Albert II Foundation. All in all a busy day of typical activities for the Sovereign Prince and reflects his normal duties in the principality.